There’s no food like southern comfort food, and southern cuisine just isn’t complete without a heaping helping of mac and cheese. Only in South Carolina are these cheesy noodles considered a “vegetable.” That’s why you’re likely to find this staple side dish in just about every home cookin’ cafe in the Palmetto State. However, not all mac n cheese is created equal, and these 10 restaurants in South Carolina offer a macaroni and cheese experience that won’t let you down! Lowcountry dining is a food type all on its own, and having savory mac and cheese is an absolute must. Fans rave about the famous four cheese macaroni here, touting it as a “must order” side dish for every meal on the menu. The words “soul food” in the name should be a dead giveaway that Big Mike’s knows all about southern cooking. The macaroni and cheese pairs well with the collard greens and fried pork chops (and everything else on the menu), but it’s so good you might want to make an entire meal of just those cheesy noodles. If you prefer your mac and cheese with a creamier texture, you owe it to your taste buds to try Smoke on the Water. Topped with crispy little bread crumbs, you may very well trade your main course for an extra serving of this fancy side dish. 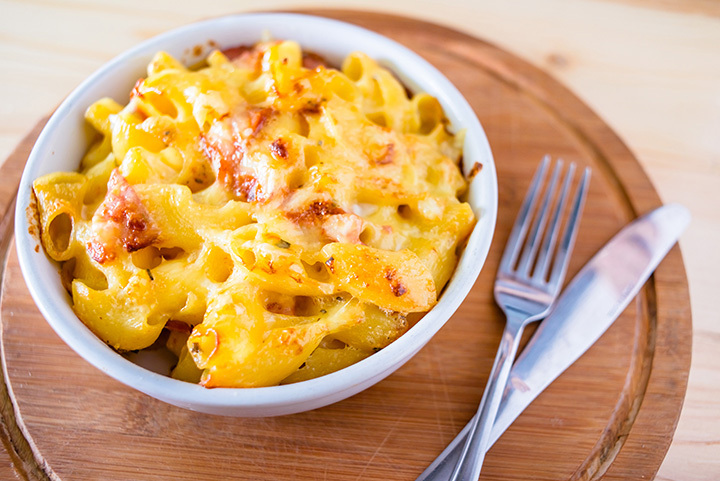 With every bite oozing with southern flair, you’ll be hard pressed to find better mac and cheese (or any other soul food) in the Midlands. But even better than having some of the best macaroni and cheese in the state is being able to enjoy it TWO locations! Find more awesome mac-n-cheese at their other restaurant in Rock Hill, South Carolina. Everything about Aunny’s screams country flavor, but their macaroni and cheese is sure not to disappoint those looking for true downhome cooking. Visitors rave about the cheesy goodness, especially when combined with their fried chicken or smothered pork chops. Situated just above Columbia, this little hidden gem packs huge flavor in their southern-style menu. Their macaroni and cheese is everything it should be—hot, cheesy, moist, and satisfyingly delicious. And best of all, their hospitality and focus on each customer rounds out the southern experience that will fill your belly and your soul. Real South Carolinians know that no barbecue joint is complete without a steaming side of mac and cheese to go with it. The popular cheese and noodle dish here is homemade just like mama used to make, and stands out even amongst a menu chock full of other equally delicious eats. Emerging victorious in Esquire Magazine’s quest to find the “Most Lifechanging Mac and Cheese,” Crave certainly knows how to make an awesome side dish. This soft, creamy bundle of cheese and noodles looks and tastes like it was sent from heaven. Walk right in and you’ll feel like family. Take a bite of the macaroni and cheese and you won’t hesitate to ask for the recipe. They might not share it with you, but one thing’s for sure: mac and cheese this good only comes from true southern kitchens.